Are you looking for some fun things to do with your kids? It can get expensive and exhausting keeping them entertained all the time! Here are some free ideas to help you out. 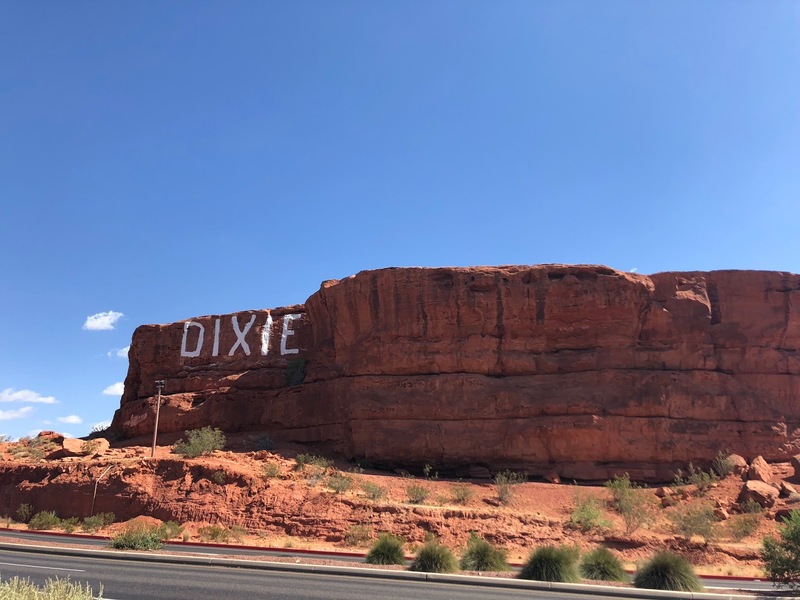 #1 Hike around Dixie Rock: This is a popular attraction for tourists and locals. The views of St. George are beautiful and the red rock is a sight to see! 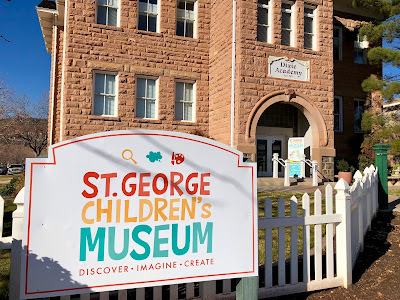 I love this unique St. George spot. There are lots of places to explore. Make sure you check out the St. George Narrows while you're there. You can read about it on this post by clicking here. #2 S'mores at Pioneer Park: S'mores are the perfect treat any time but especially on warm summer nights! 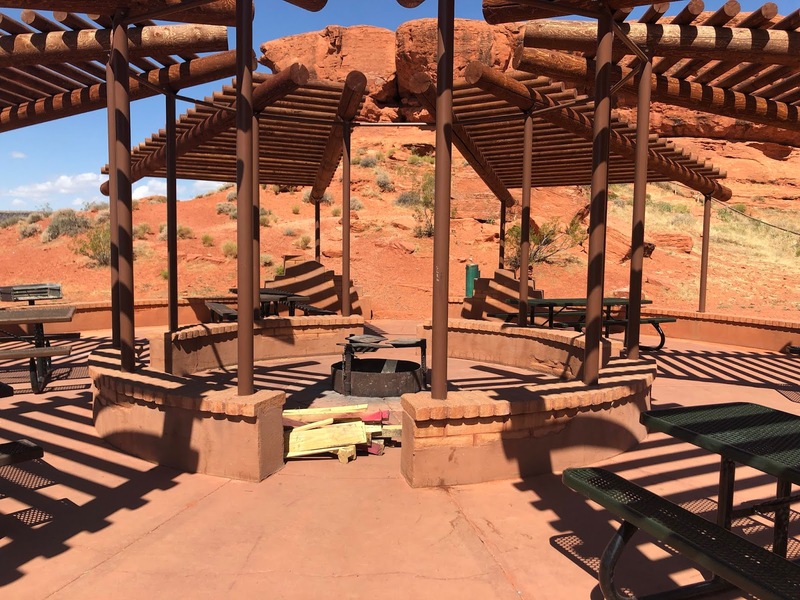 There are two fire pits at Pioneer Park by Dixie Rock that are free to the public! Just call the city in advance to reserve your fire pit. One of them is located under the big pavilion and the other is just up the rocks a little ways. 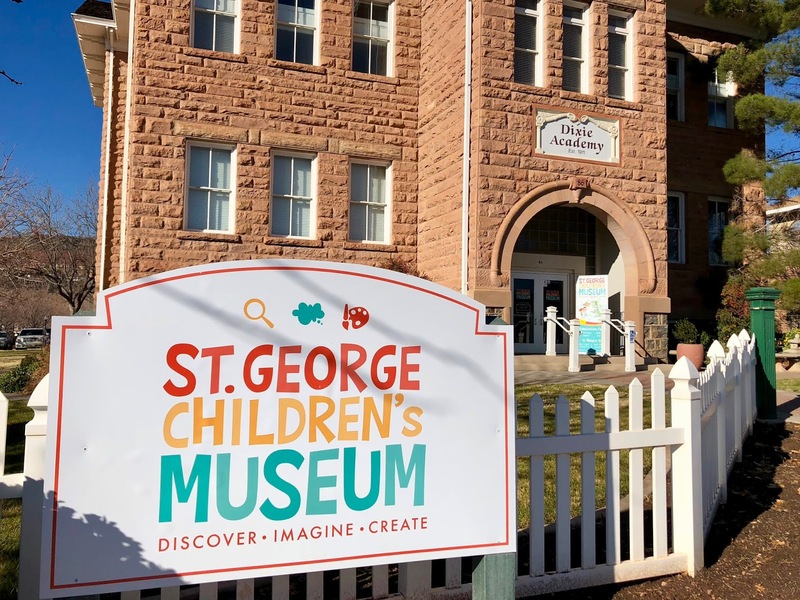 #3 St. George Children's Museum - First Thursday of each month from 12-3 is FREE: This place is awesome! It is two stories and has different themed rooms throughout the entire museum. There is a post office room, farm room, grocery store room, and music room. Just to name a few. The admission is already inexpensive but on the first Thursday of each month from noon-3:00 admission is free! 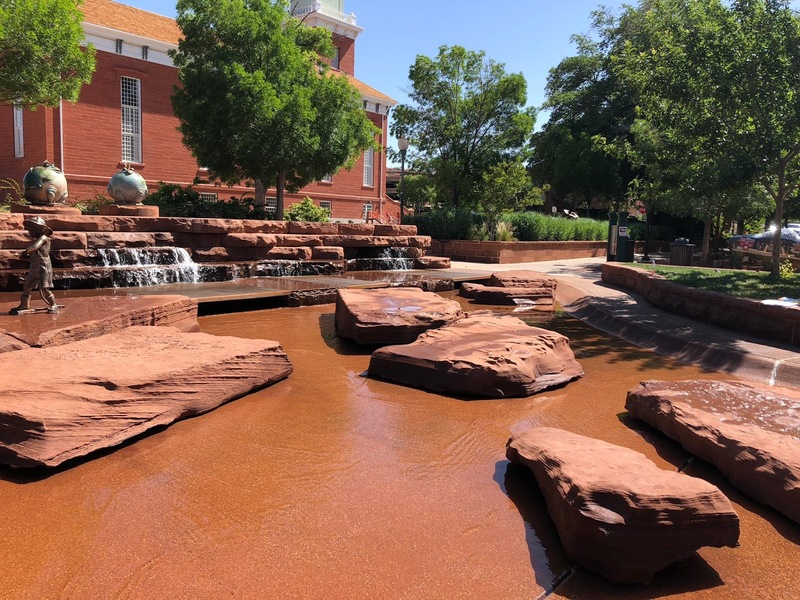 #4 St. George Town Square splash pad & stream: This is one of my all time favorite water play areas in St. George. There is plenty of shade and it is a large area for your little ones to play in. Pack your lunch, bring your towels and be ready for a great time. #5 Walk around Tonaquint Nature Center and feed the ducks: This is a great place to cool down and enjoy nature. 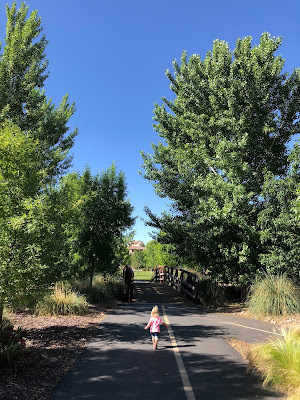 There is a pond with geese and ducks for your little kiddos to feed and there are paths throughout the trees that you can wander around. #6 Have a Picnic at Tonaquint Garden: This is a beautiful garden to walk around. There are plenty of grassy areas under the trees for a picnic. #7 Tour Brigham Young Winter Home: Spend some time taking your kids to learn a little bit about the history of Southern Utah and the Mormon pioneers who settled the area. There are Mormon missionaries on site to give you a tour and tell you stories and fun facts. 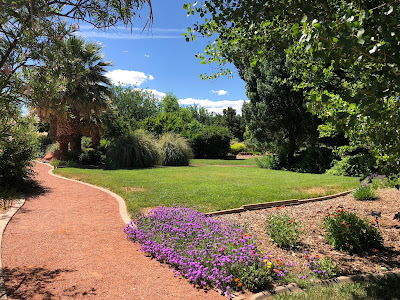 #8 Walk around the Red Cliffs Desert Garden: This is a beautiful garden by the Dixie Rock. It has a man made canyon that you can go in to cool off. Depending on what time of year it is there are sometimes fun decorations and themes throughout the garden! For example, the scarecrow walk is in October and you can read about that by clicking here. #9 Visit Family Search Center: Learning about your family and where you come from can be really exciting. 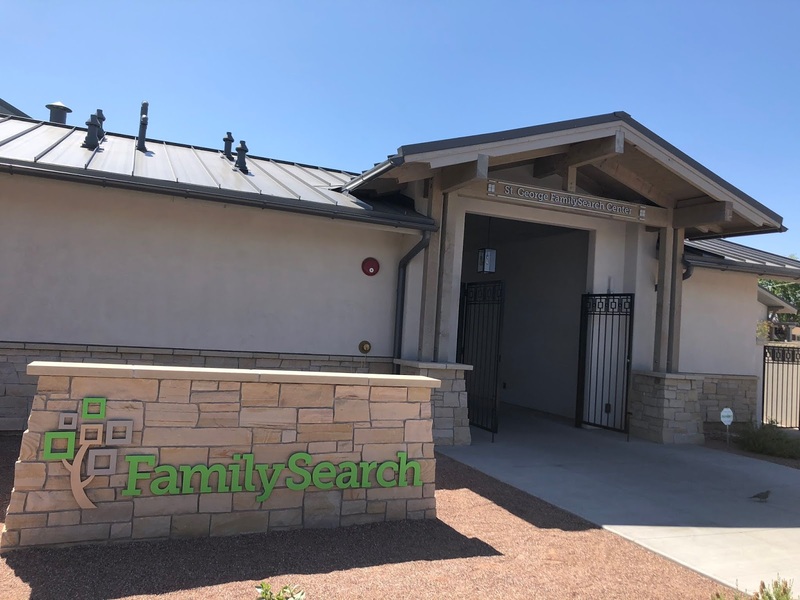 Anyone can visit the Family Search Center. It is operated by The Church of Jesus Christ of Latter Day Saints but you don't have to be a member of the church to visit and search your family history. The Family Search Center is very interactive. They have iPads that dock in certain TV stations and you can learn things like famous people you are related to and what parts of the world you have ancestors from and what percentage. It's a lot of fun! 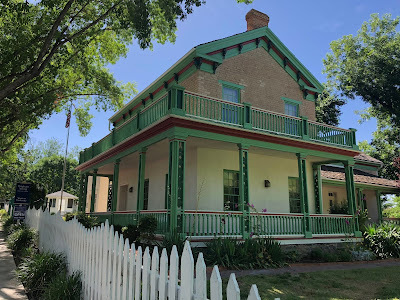 #10 Tour Jacob Hamblin Home: Learn more about Santa Clara and the pioneers that settled there by visiting this pioneer home. There are Mormon missionaries there to give you a tour and tell you stories and fun facts. #11 Visit Pine Valley: Pine Valley is just a 45 minute drive from St. George and is a great place to escape to cooler weather and enjoy the scenery. You can find hikes there, go fishing, tour the old Mormon chapel and in the winter months tube and sled. 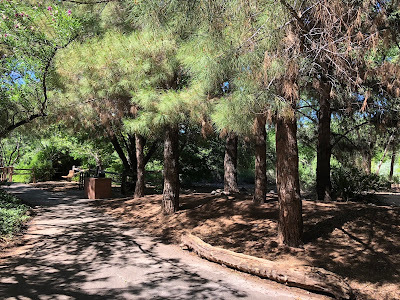 One of my favorite walks is the Santa Clara River Walkway. 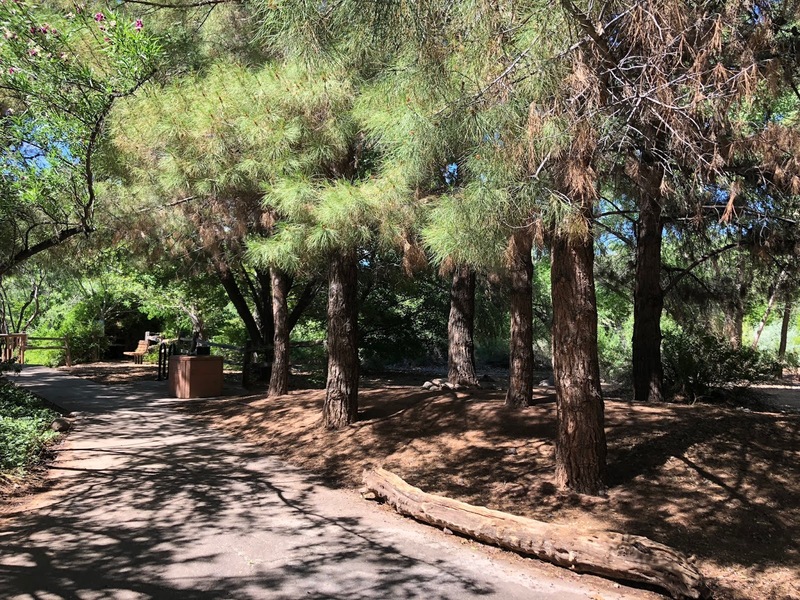 It is a paved path around the Pine Valley Reservoir. You can read about it by clicking here. 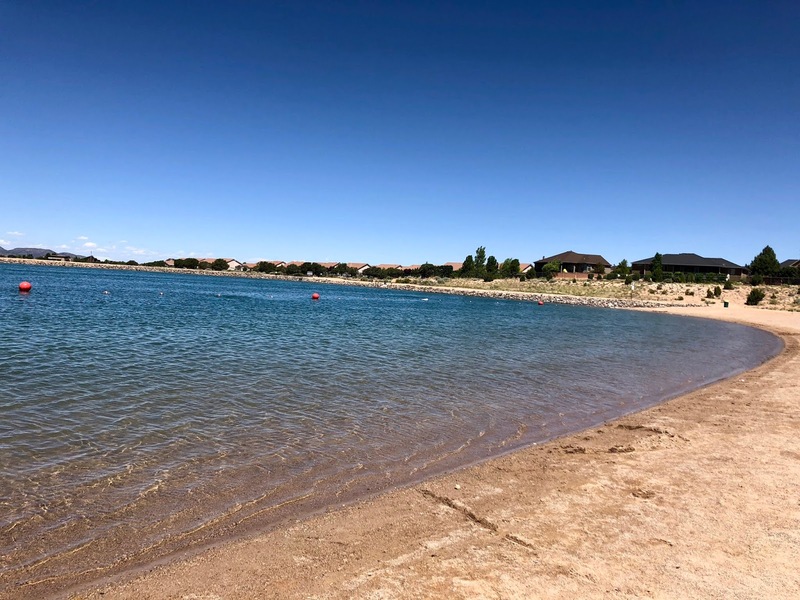 #12 Lake at the Hills in Cedar City: This is an eleven acre man made lake behind the Cedar City Recreation Center. I wouldn't take the time to travel up to it but if you are in the Cedar City area it is a fun place to spend your afternoon! You can fish there, canoe, paddle board, or just play in the water. There are also volleyball courts and lots of picnic tables. There are restrooms on site so you won't have to worry about that. #13 Hike: There are so many beautiful hikes in Southern Utah that are free to do! One of my favorite hikes is Chuckwalla Trail to Paradise Rim. #14 Go for a walk or bike ride on trails: The paved trails throughout the area are perfect for walking or bike rides! #15 Feed ducks: Feeding ducks can be so exciting for kids, especially young ones! Bring a loaf of bread and have some fun! Some great places to feed ducks are: Brooks Pond, St. George Golf Course, Tonaquint Nature Center (pictured above), Tawa Ponds, Razor Ridge Park or Grandpa's Pond in Hurricane. #16 Go fishing: If you have children under age 12 fishing can be a free activity! Children under age 12 don't need a fishing license. If you need a license or have older kids it is still inexpensive (You can find the 2018 Fishing Handbook here). There are 5 fishing ponds in Washington County: Razor Ridge Pond, Skyline Pond, Stratton Pond (aka Grandpa's Pond), Sullivan Virgin River Park Pond, and Tawa Ponds. 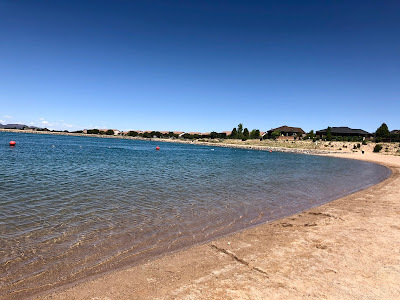 There are 3 in Iron County: Parowan Pond, Woods Ranch Pond, and Leigh Hill Reservoir. 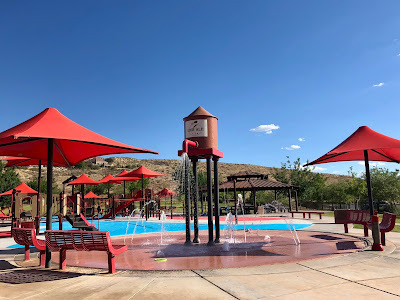 #17 Play in splash pad: Splash pads are one of my daughter's favorite activities! 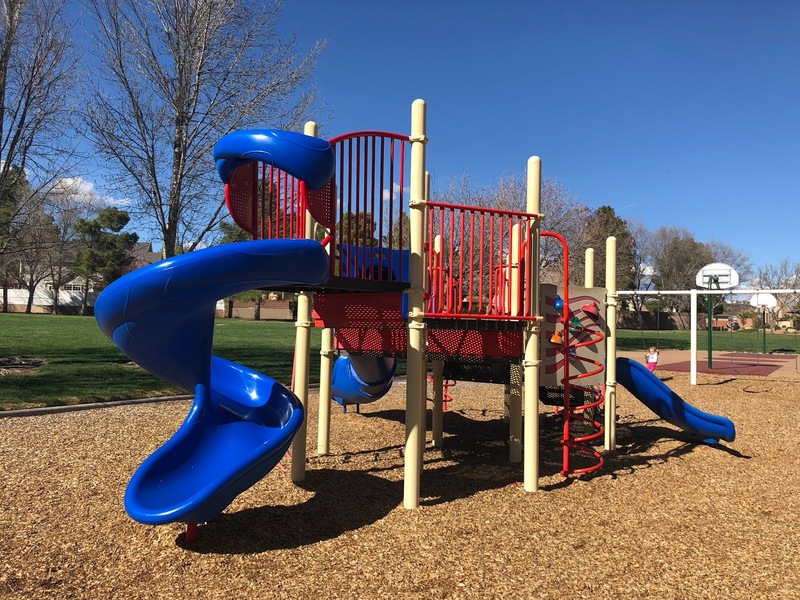 The Hidden Valley Park has a great one (pictured above). #18 Go to the park: This timeless childhood activity is one that is great for all ages. Most parks have a basketball court or a large grassy area so don't forget to bring a ball or frisbee! 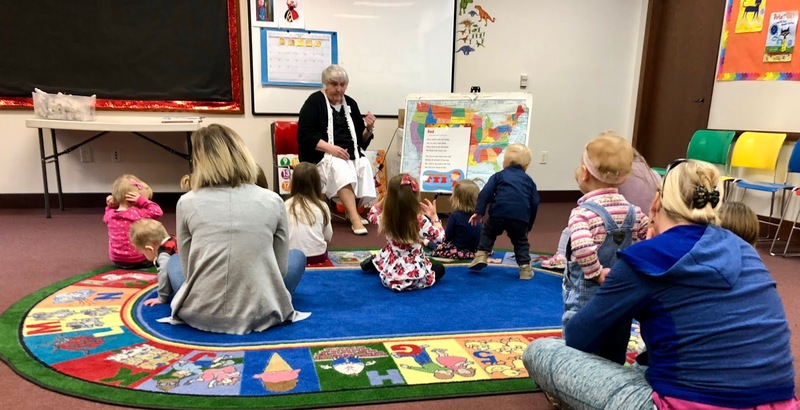 #19 Visit the library for story time: Teach your children a love for reading by taking them to story time at any of the libraries! After story time take some time to read some books, color or do puzzles. And don't forget to pick some books to check out! A library card is free to residents! For Washington County Library story times click here and Cedar City Library story times click here. #20 Outdoor movie: Have an outdoor movie in your backyard or enjoy an outdoor movie with your community! Sunset on the Square is in St. George from May - August. You can find the 2018 schedule by clicking here. Be sure to check out my upcoming events tab often because Hurricane City and Washington City has outdoor movies a lot too. Especially in the summer months! Great ideas even for someone without kids! As my daughter is grown up now and she needs her own separate room. I was looking for furniture. I ordered kids furniture for her. This is a six pieces set, with the high-quality white wooden board. This set is really helpful and well organized to decorate a full room. Also, the quality and finishing are really amazing, which I and my daughter loved most.